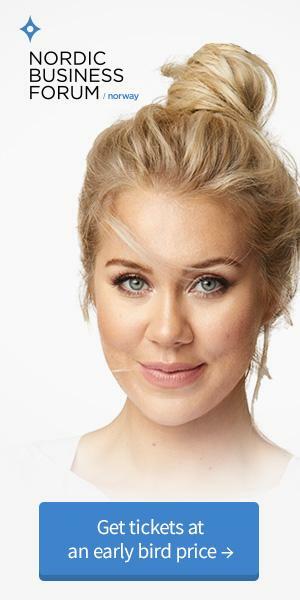 Ida Backlund is a 32-year-old Swedish entrepreneur who created a 12 million euro business without taking a loan. 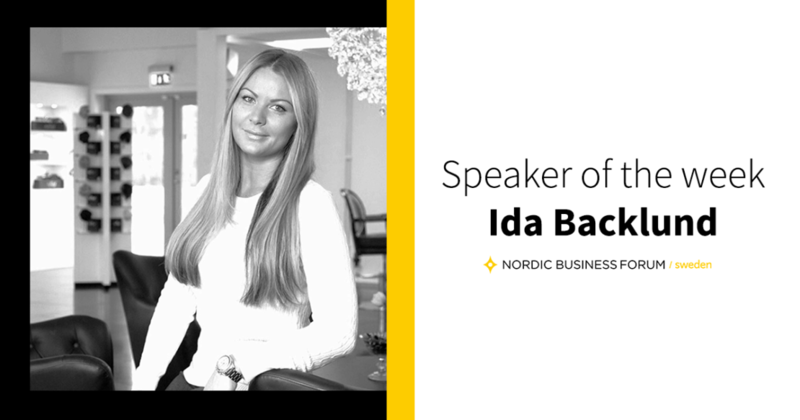 She will come to Nordic Business Forum Sweden to tell us how she managed to expand her business to over 60 countries. Backlund grew up in a small town called Grönåker close to Umeå, Sweden. Already as a young girl, she pursued her entrepreneurial spirit by selling homemade cookies with a significant profit. She was even rewarded with a school entrepreneur award for her cookie business. After graduating high school, Backlund wanted to see the world, so she worked for two years in Greece and Australia. After returning to Sweden, Backlund discovered her passion towards hair and makeup, so she applied and finished a hair stylist and makeup course. This is when Backlund’s entrepreneurial side took a step forward as she got the idea of her very own hair extension business. She wanted high-quality hair extensions with service and fast delivery but noticed there were no such companies. Thus, she ordered different extensions and made her friends try them out in order to find the best quality and colors available in the market. After finding the right products and seeing that they were a huge success among her friends, Backlund came up with the name Rapunzel and decided to go for it. Rapunzel of Sweden would give everyone the opportunity to have long and thick hair by offering high-quality hair extensions. The start of Rapunzel wasn’t easy as the bank denied Backlund’s start-up loan. She stayed persistent and found an investor, who provided her with the necessary fund to launch the company in 2007. Her start-up became an instant success and a small team grew rapidly to a team of 60 people. The products of Rapunzel of Sweden became the hair products for hundreds of thousands of people from Umeå to Hollywood. Today the company delivers hair extensions, wigs and hair care products to over 60 countries. Backlund is also an investor and an advisor, in particular for young entrepreneurs and start-ups. She is well-known for her success especially in Sweden and has been rewarded with numerous awards and recognitions over the years. In 2009 she was named as the Young Entrepreneur of the Year (Founders Alliance), in 2010 as the Female Entrepreneur of the Year (Ernst & Young) and last year she received the Royal Patriotic Society Medal for outstanding entrepreneurship. Thus, there’s no doubt that this young entrepreneur can teach us a thing or two about growing a business. At the first Nordic Business Forum Sweden, Backlund will discuss the story of Rapunzel of Sweden and elaborate some thoughts on how to manage rapid growth worldwide. To learn more about Backlund’s background and the story of her success, read here a recent Business Insider article about Backlund. Watch here a short clip, where Backlund explains the story behind her company and her experiences of being a young woman in business. You can read about the record-high year of Rapunzel of Sweden in Swedish from this recent Dagens Industri article. Want to see Ida Backlund share her story? Get your tickets to NBForum Sweden here. Nordic Business Forum Sweden is held on January 16th at the Waterfront Conference Center in Stockholm with nearly 1,000 business executives and entrepreneurs and the top speakers of the world. #NBFSweden just got 80 extra seats! #NBFSweden is breaking records – over 1000 tickets sold, only 200 tickets left! We focus on delivering value in every post we make.